This weekend we set up our Samhain altar/ nature table. Chris and I had planned on having two separate tables. 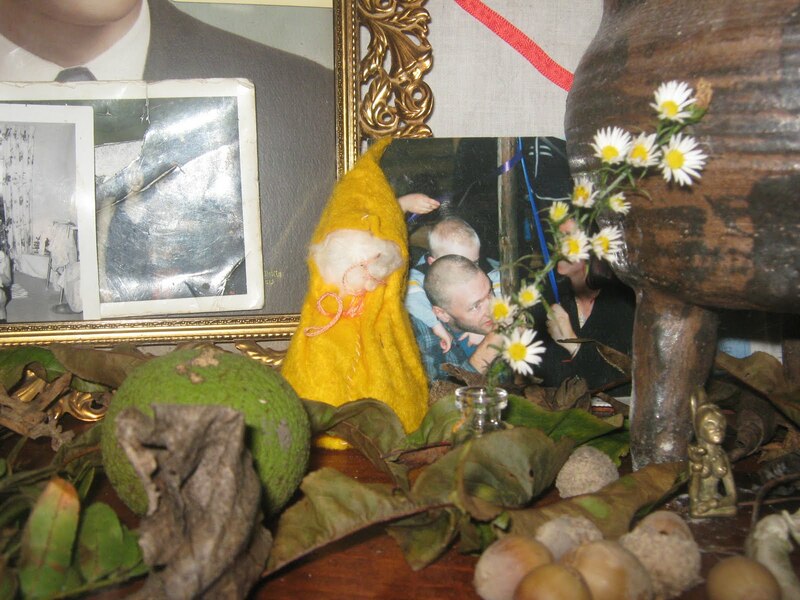 One ancestors altar, honoring our friends and family that have died, and one nature table that the children could play with and add on to as treasures were found. While Chris suited up to winterize the bees, I dug through the alter cupboard, choosing appropriate items: old photographs, acorns, gnomes, tarot cards, etc. We returned together, ready to begin the altar building. To our surprise, the children had already finished and were very proud of themselves! They even put an incense burner in the cauldron for a foggy effect. And so, the Samhain season begins at Many Hands House. Nice! I always like looking at altar pics. 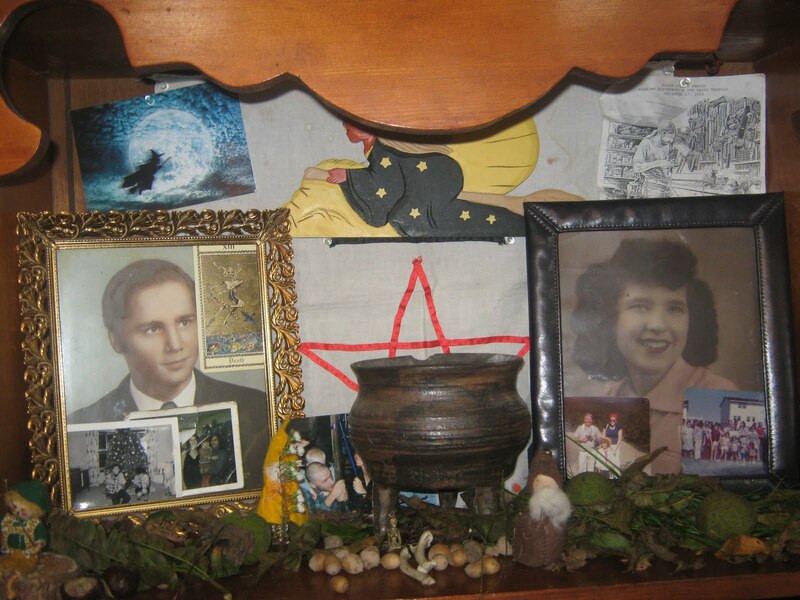 I have an ancestor shrine that I keep up year round.